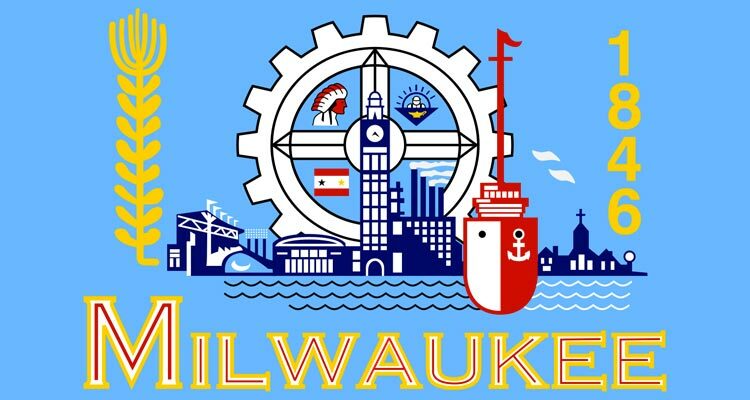 Let’s face it: the Milwaukee flag is kind of a mess. Adopted in 1955, it contains plenty of nods to the city’s past—a barley stalk for brewing, a giant computer mouse for water-based commerce—but it assembles them in such a haphazard, visually unappealing way that any good intentions (or meaning) are lost. Plus, it has a picture of County Stadium, which was demolished nearly 15 years ago. We would be lying if we said we knew how this will all unfold. This process can be organic and will vary from city to city. While one city may choose to commission an artist, designer, or professional agency, others may call for entries from the citizens. We agree with the latter of the two. Before we get there, one thing must happen first. We need the support of the community. In order for the city to adopt a new flag, they must first know the citizens want a new flag. The best way to do this is by starting a petition. This latest push is inspired by a recent TED Talk on city flags, in which designer and podcast host Roman Mars calls the Milwaukee flag a “hot mess.” Easy there, Mars. It may be a hot mess, but it’s our hot mess. We can handle insulting our flag and signing petitions to change it every two years by ourselves, thank you very much.